“Let’s be a future ideal normal city.” Under this slogan, Toyota City works on numerous new far-sighted projects often before other cities in Japan. Forest maintenance that looks ahead 100 years from now, local production for local consumption of recyclable energy, and demonstration experiments of environment-friendly smart houses... The city has continued its challenges in various aspects of transportation, forestation, industry, and people’s everyday lives, all of which led toward being chosen as an environmental model city in 2009. Citizens, companies, educational and research institutes and their administrations work together on environmental activities. Delegations from more than 100 countries in the world have come to observe the city’s efforts. In the 1930s, when the automobile industry was just a venture business, mass production of Japan-made automobiles started in the region. And today, the auto industry is experiencing a big switch. To create a low carbon society, part of being a “future ideal normal city,” the Mirai, a mass-produced fuel cell powered automobile, was born in 2015. Toyota City has always challenged what others thought unchallengeable, and its DNA as an advanced city planner and manufacturer continues to lead Japan and the rest of the world. What is the origin of Toyota City as a national and world innovator? Koromo Town, the predecessor of Toyota City, was successful in the silk cultivation and reeling industry. However, the detrimental effect of the Great Depression around 1930 soured the town’s economy. While the citizens were at a loss, the town mayor Juichi Nakamura rose to bring about change. He saw promise in automobile manufacturing, which was a new industry at the time, and strove to attract factories to the town. In 1935, he succeeded in selling around 2,000,000 m2 of the town’s registered area, and began land leveling. Kiichiro Toyoda, who was as ambitious as Nakamura, worked on the construction of an automobile factory. Believing that the industry would lead to the development of the country, he devoted himself to the research of automobile manufacturing. To realize his dream of mass production of nationally- made automobiles, he established Toyota Motor Co., Ltd here. Nakamura and Toyoda could probably already envision “the future ideal normal city.” That is why they did not give up creating a new city and establishing a manufacturing company, which at the time was considered impossible. Since the 1950s, the number of automobile-related factories increased dramatically. Toyota City is continuously evolving as a city of automobiles and other products. Toyota City, where various kinds of manufacturers are concentrated, is a core manufacturing city where active manufacturing takes place. The shipment value of the city’s production in 2014 was 13,084,700,000,000 yen. * The 105,996 workers* at the 860 factories* in the city realized this result, positioning the city at the No. 1 rank in the country. The production of the 357 automobile-related factories* account for 96.5%* of the shipment value. In order to pass on this manufacturing DNA as a challenger for the future, the city places great importance on the creation of manufacturers, especially in the automobile industry. Examples include the establishment of Monozukuri Mirai School, where young technicians develop their creativity and techniques through product development, the Monozukuri Ikki-tsukan Engineer Training Program, a collaborative program of industry, academia, and government that trains technical leaders, and the Car-making Expert Project, an active learning opportunity for children. Toyota City raises the abilities and passions of the future creators of “the future ideal normal city,” which is unimaginable to anyone. As Japan’s No.1 city in terms of shipment values of manufactured articles and other rankings, we have always led the country’s manufacturing, especially in the car industry. Now that Japanese manufacturing is in a critical transition period, we aim to achieve an evolution as a manufacturing heartland city where industrial operations are promoted to provide high-value-added products, technologies, and services. As home to some of the country’s leading companies, we actively promote interaction both domestically and internationally. Toyota City is perfect for launching new businesses, due to its excellent environment featuring a booming industrial complex and laboratories, as well as convenient transport access. In order to attract many more companies to the city, we will establish the Manufacture Creation Center with the purpose of assisting companies to create new businesses and to qualify engineers to deal with the new manufacturing technologies. In addition, Toyota City offers support to entrepreneurs to create a workplace friendly to diversity. 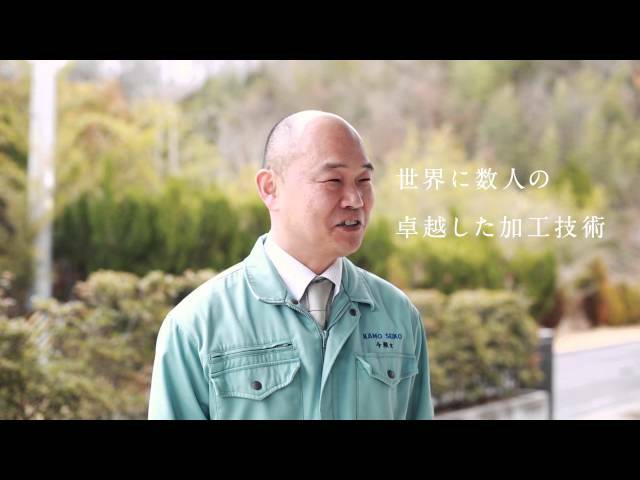 Please check the video regarding the manufacturing and craftsmanship techniques in Toyota City.